The Grand High Priest was pleased to install R Em Kt Pt Mark Peers as Grand Superintendent of District No 50 in Grand Canaria on 23 March. Although there has been no realignment of District boundaries, he also acceded to a request that the District be renamed, “Catalonia, Canarias and Balearics”. 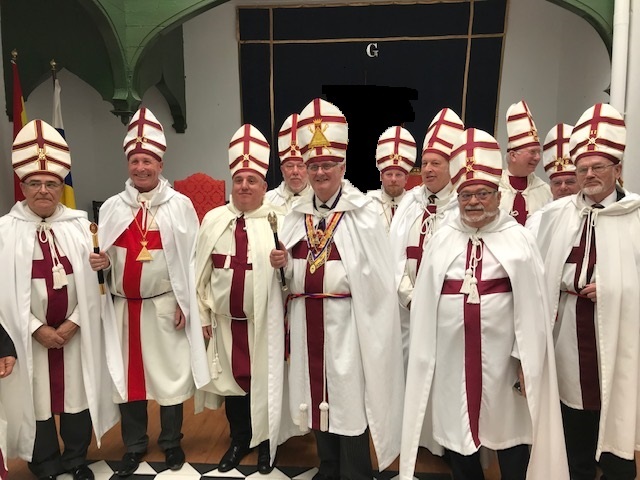 Mark is pictured below with the Grand High Priest and some members of the District.